The Sportsmen’s Alliance Foundation is honored to announce its selection as a top-50 non-profit in Sugarlands Distilling Company’s inaugural MoonShare Year of Giving. 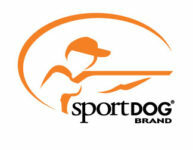 As a result, the Sportsmen’s Alliance Foundation stands a chance to receive one of 12 grants worth $5,000. MoonShare, a program meant to shine the spotlight on non-profit organizations seeking to better their communities, is a division of Sugarlands Distilling Co. The nationwide grant-giving campaign was launched by the company in celebration of #GivingTuesday, the global day of giving back. A complete list of all 50 candidates can be found at www.moonshare.org. Voting through Facebook for the final 12 MoonShare grant winners and will continue until 5 p.m. EST on January 31, 2016.